Have you had a chance to look at my new Shop? I’m adding new items daily! 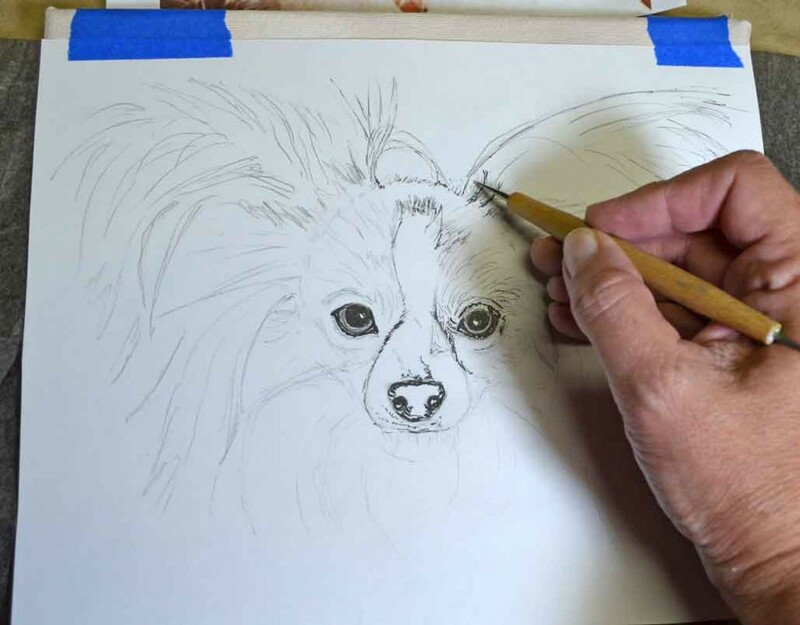 I am so excited to share this pet portrait with you today because it means I am finally catching up after the past nine months. I had to use my fingers to count and, boy, do I have some patient and understanding clients. 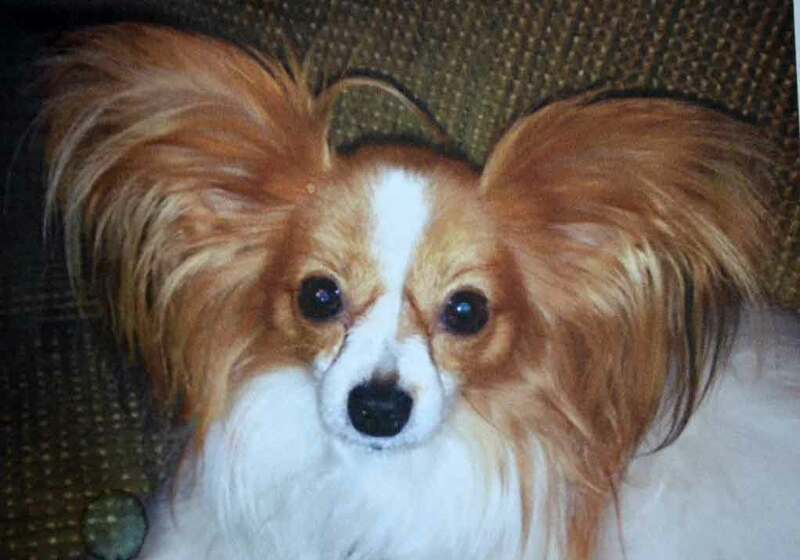 Anyway, this is “Trixie”, an adorable papillon dog. 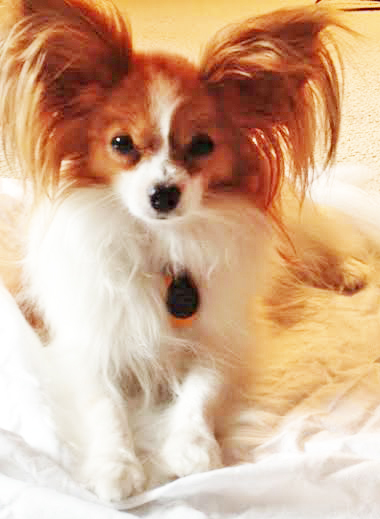 When I first saw her photos I thought she must be a type of Pomeranian. Wrong. 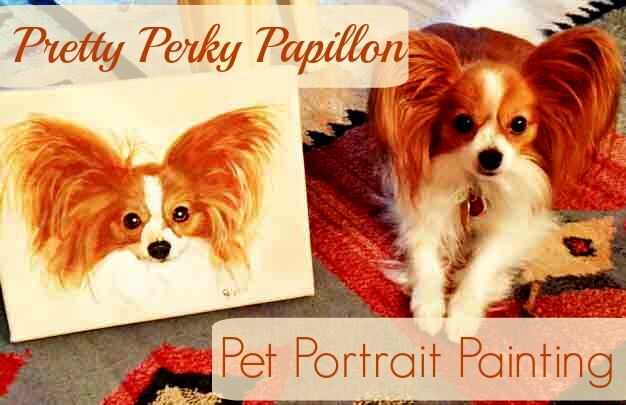 Papillons are actually a spaniel, often called “Continental Toy Spaniel”. Shows how much I know about breeds. I just paint ’em. Because of those amazing ‘butterfly’ ears, I originally thought I’d lay down a basecoat of watercolor and then use colored pencils to add the details. Until I remembered I use baby oil to blend pencils . . . which would totally remove the watercolor basecoat. So after transferring my sketch, I decided to use acrylics for a basecoat and then detail with pencils. Then I remembered how frustrating it is to get a sharp point on pencils and I wind up using paint on pencil portraits anyway. I really want to learn some new mediums – watercolor, pencils, and even markers. Did you know they have markers that blend? Seriously! I had no idea and have some coming that I can’t wait to try. 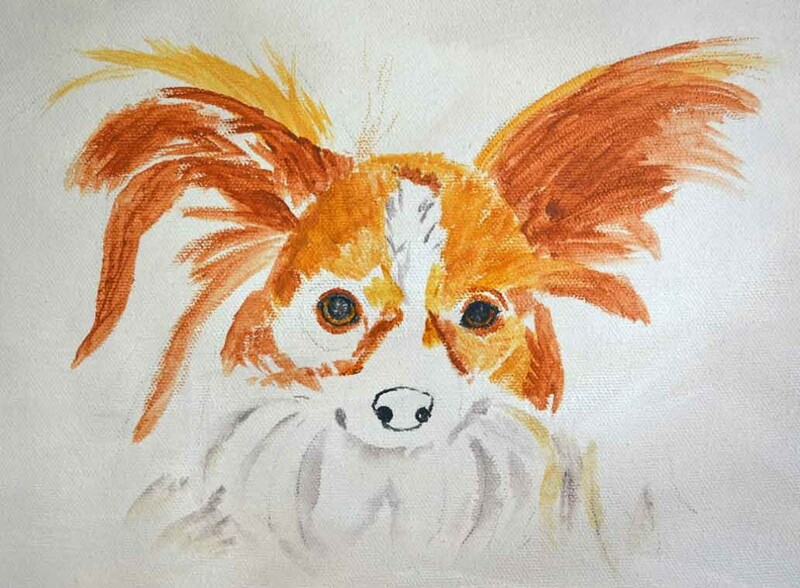 But when someone is paying me money for their pet portrait, I want to do the best possible job so I use paint. Except when it comes to kitties. I dunno why but pencils are easier for me with cats. 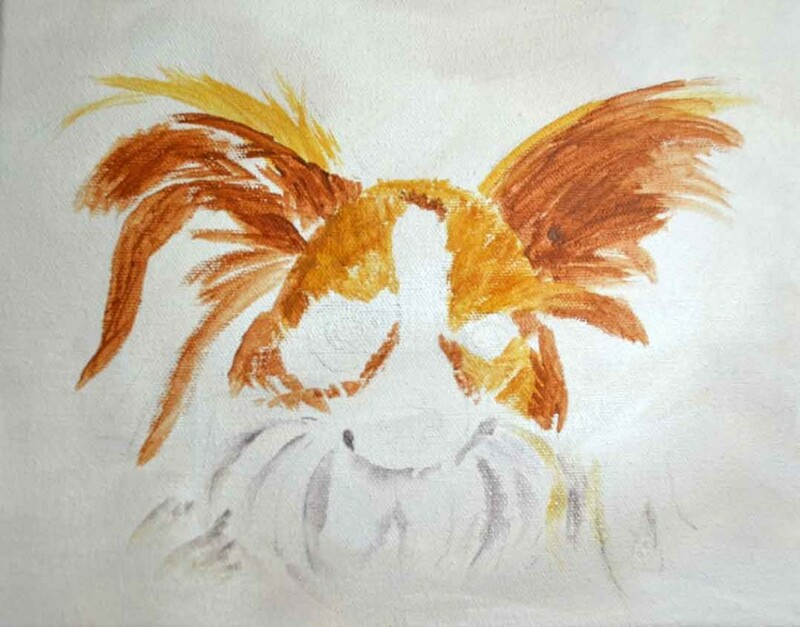 No matter how long I paint – or draw – there is always something to learn. Always. 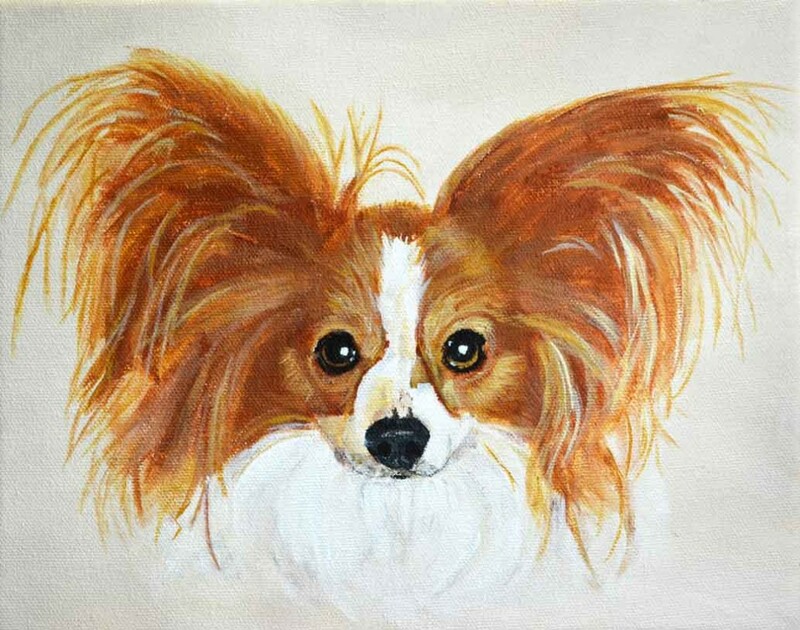 With pet portraits, I work from photographs that are usually emailed to me. Sometimes that adds a degree of difficulty for me since I haven’t seen the pet in real life. 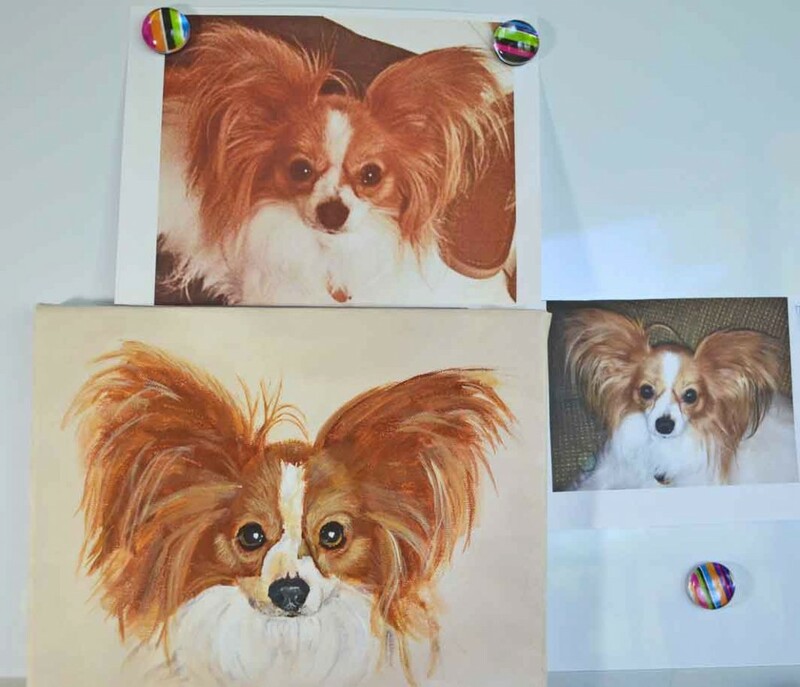 When I reached the point in the photo above, I emailed Trixie’s mama and asked her if her coloring was darker, like the photo above the canvas, or lighter, like the one to the right. All she could say was how much she loved it and it was ‘perfect’. I took that to mean the colors were fine. I felt like the painting need some more ‘whispies’ though and was glad I’d chosen paint rather than pencils. My picture of Trixie has arrived and it is gorgeous. It really looks just like her. 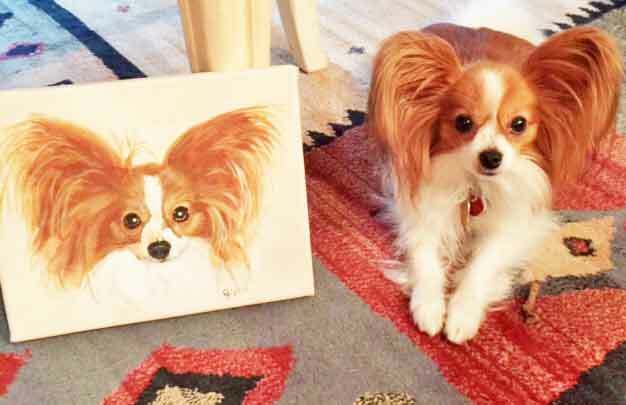 Your painting of Trixie almost looks like a photograph it is so good! And, it looks exactly like her!! Beautiful work Colleen! Wow! 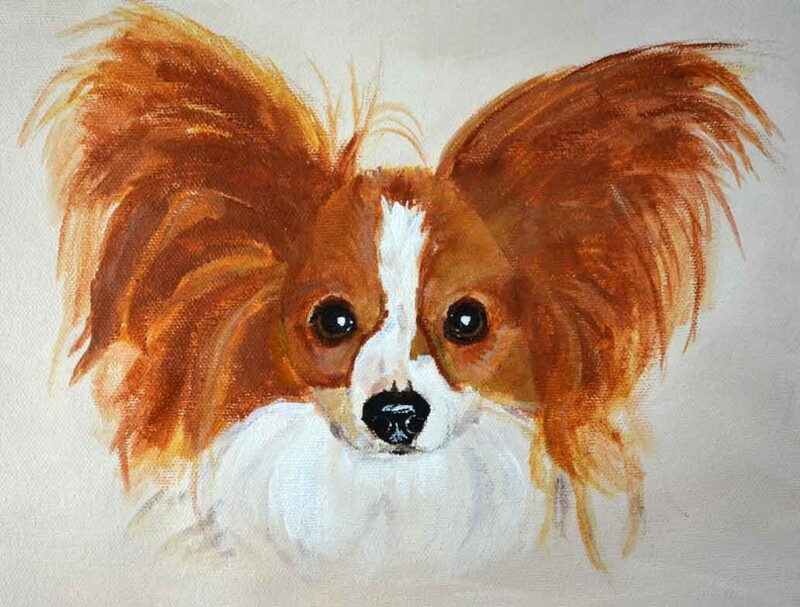 You truly captured cute little Trixie! Well done, Colleen!